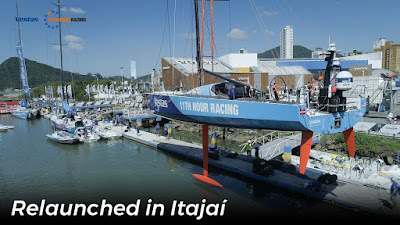 The common perception is this course is simply a slow left hand turn around Brazil with a straight shot to Newport, but the fleet of Volvo Ocean 65s will be embarking on another tactically challenging leg. To simplify what lies ahead, the 5,100nm leg is better thought to be divided into five smaller distinct navigational challenges. The first is the Leg Start to Cabo Frio, 430nm away. 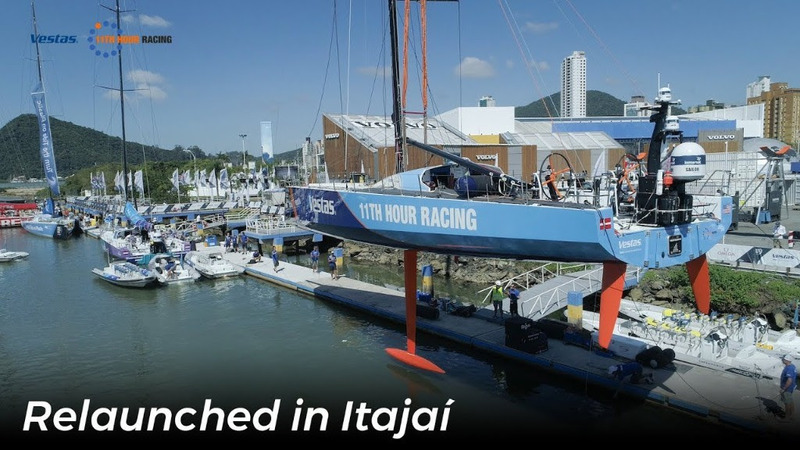 After a windward-leeward and triangle inshore course, the first 72 hours will be upwind as the South Atlantic High will be well situated to provide a northeasterly flow across the racetrack. Balancing pressure versus shift up this long beat, while also managing the impacts of the strong south running current, will be key to success. A few exclusion zones have been put in place to avoid the vast amount of oil rigs off the coast. Lots to juggle straight out of the gate. From Cabo Frio, the next segment extends 1000nm up the coast to Recife and Natal at the northeastern corner of Brazil. It will be quite tricky as there is often a frontal boundary that needs to be dealt with before reaching the SE trade winds. There will be a lot of opportunity for big gains and losses through this stretch as there may be some coastal sea breezes to play, more current to deal with, and the potential for a big lateral split in the fleet. Everyone will be racing to get north to reach the trades and hit the corner first. It will be a very interesting stretch to watch from home; there may well be four or five different ways to get through. After passing the NE corner of South America, the teams will be battling to work their way up to and through the Doldrums. As of now, it appears that the Doldrums will not be as bad as the fleet had in the Pacific. I hope, for their sake, that I don’t have to eat my words later by putting that in writing. Like Leg 2 to Cape Town, the further west the teams sail, the thinner the Doldrums are to get across. Getting west is often quite easy as there is quite a bit of westerly current closer to the coast which could easily make someone look like an absolute hero for a few days, ticking off miles with ease. Those who hop off the current train early to work northward in a more easterly position may not look good early, but may be well rewarded for their patience with a better wind angle when they finally break free to the NE trades at around 5N. And those NE trades are the reason why everyone does this leg. Once they’re in the trades, the fleet will be in a long starboard tack segment with roughly 2500nm of drag race sailing. Absolute glamor sailing greeted the fleet through here during the 2014-15 edition with big smiles in the steady, warm winds. It will be a game of subtly, though, balancing the positions east to west relative to the competition as everyone tries to manage pointing their bow in the right direction to get the most boat speed with the combination of sail selection. In the big picture, however, it will be all about how to get through the Bermuda High and be properly set up for the east coast of the United States, an approach which could well be the trickiest of all. The crossing of the Gulf Stream and progressive weather pattern of springtime in New England means that the coldest and most rapidly changing conditions of the leg could well meet the fleet over the final 72 hours. In the final approach to Newport, there is a Traffic Separation Scheme exclusion zone the fleet must avoid, forcing the teams to either enter Narragansett Bay from the west between Block Island and Point Judith or the east near Martha’s Vineyard and the entrance to Buzzard’s Bay. Our squad on Vestas may be considered by Newport to be the “hometown” team, but there is little local knowledge to be had. The playbook for early May states rather clearly that, meteorologically, anything can happen. Tactically, this leg is more complicated than it looks. Each one of these five sections is essentially a mini-race in itself with subtleties that are drastically different than the other segments. What adds to the challenge of this leg is that a long-term strategy may necessitate a short-term loss if someone opts to split from the pack. There is a high chance that this could be won in the final miles into Awesometown, USA.